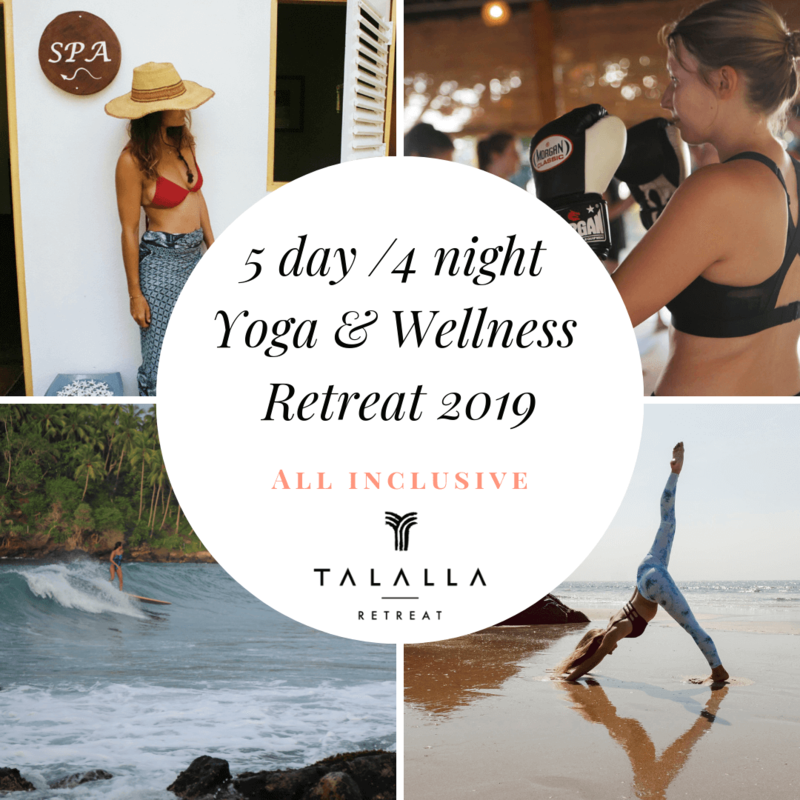 We’re so excited to now share with you our 5 Day / 4 Night Yoga and Wellness Retreat options, designed specifically for you to offer further flexibility around your preferred timeframe and budget. Our Retreats are the epitome of a balanced, healthy holiday; taking a light hearted and holistic approach to wellbeing, with a focus on mind, body and soul. Relax, Renew, Revive and Restore in tropical Sri Lanka. We understand your time off is precious, and when travelling to a new country, (specifically one like Sri Lanka) you really want to do and see it all. So that’s why we have recently launched our 5 Day / 4 Night retreat options, which allows you to dive deep into your practice and gain all the benefits that Talalla Yoga and Wellness has to offer, but without stretching the budget or taking up too much of your holiday time. Of course you’re welcome (and encouraged) to enjoy the full 7 day retreat, however we don’t want you to miss out on such a unique and valuable opportunity, so we want to make it work for you. Drop us an email with your requested dates and we’ll design the perfect retreat for you.